Hospice a word that is synonymous with “end of life” care. Palliative – a little more confusing and often confused with ‘end of life’. The two are very different therapies but Palliative Care is an offshoot of Hospice. 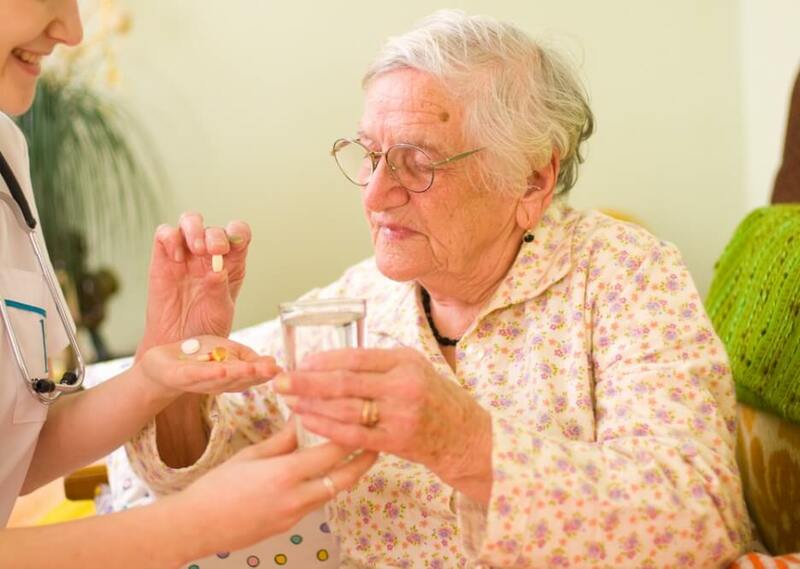 Hospice is a service for patients who are terminally ill and have decided not to take any more medication that might “cure” them (i.e. chemotherapy for a cancer patient). The focus becomes relief from pain and symptoms and not a cure. There are some who say that going into Hospice means you’re giving up or that you will no longer receive the medical care you need. That is not true – you have chosen to focus on your quality of life not the quantity and the medication used is to do just that. A Hospice team usually includes a doctor, nurse, social worker and chaplain (if you wish). They work together to meet the patients physical, emotional and spiritual needs. This team also cares for the family who can be against the choice to, in their eyes, “give up.” There is counseling, hugs and support from a good Hospice team – my Mother’s team was unbelievable and supported and counseled our entire family through the last three days of her life. To qualify for Hospice your doctor must state that the patient’s death is expected in 6 months or less. If a patient chooses Hospice then changes his or her mind it isn’t an issue. The patient simply goes back into the curative therapy with their doctor. You can also change your mind again and be readmitted . . . there is no pressure – it’s about what you, the patient want. Palliative Care (pronounced pal-lee-uh-tiv) is specialized medical care for people with serious illness. This type of care is focused on providing relief from the pain, symptoms and stress of a serious illness for both the patient and family. Again, it’s a team of specially-trained doctors, nurses and other specialists who work in partnership with the patient’s other doctors to provide an extra layer of support. It can be used at any age and at any stage in a serious illness. The services are offered in tandem with the curative treatment. A good example of Palliative Care use is in Parkinsons or Multiple Sclerosis when there are flare ups. Both Hospice and Palliative Care are paid for by most insurance companies including Medicare and Medicaid. Both are offered in your home, nursing homes, assisted living centers, hospitals and provide respite care when the caretaker family needs a break. What these two services offer us are choices in treatment for serious illnesses. We each have our own journey and whilst none of us hope it comes to either of these services, we can make informed decisions for us or our loved ones knowing that they exist. No matter how strong you are physically and emotionally – watching a loved one suffer is often intolerable. There are teams out there to support and comfort. Use them if you need them. A study of more than 13,000 veterans in Veterans Affairs Medical Centers (VAMCs) found that patients receiving hospice care concurrent with chemotherapy or radiation therapy were less likely to use aggressive treatments or be admitted to intensive care compared to similar patients who were not enrolled in hospice, significantly reducing medical costs. 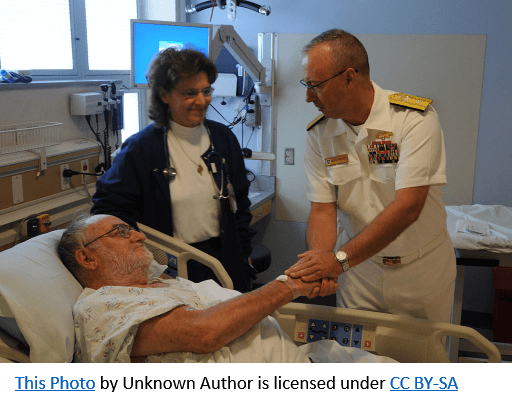 Unlike organizations reimbursed through the Medicare Hospice Benefit, the Veteran’s Health Administration (VHA) does not require hospice patients to forgo curative care, making VAMCs a prime environment for researching concurrent treatments. Currently, Medicare beneficiaries must opt out of or revoke the hospice benefit in order to receive curative treatment such as chemotherapy and radiation therapy. However, many hospice organizations provide services similar to hospice through palliative care programs. Beneficiaries are eligible to pursue curative treatment while receiving palliative care, which is also designed to alleviate symptoms, such as pain, as well as the emotional stress associated with serious illness. In addition to fighting cancer, radiation and chemotherapy can help providers achieve goals of hospice and palliative care, such as pain reduction. “There are many instances in which radiation therapy is used to alleviate bone pain due to bone metastases. Also, there are now many chemotherapeutic agents that may reduce the pressure that the tumor is placing on vital organs,” Mor said. The study focused on patients who suffered from newly diagnosed end-stage lung cancer in 133 VAMCs who had received hospice care, cancer treatment, or both concurrently during the last month of life. The study authors aggregated data obtained from inpatient and outpatient records, pharmacy claims, and similar sources. Though beneficiaries enrolled in the hospice benefit currently must forgo curative treatment, the U.S. Centers for Medicare & Medicaid Services is exploring alternatives to that policy through the test of its Medicare Care Choices Model, which the agency launched in 2016 and plans to conclude in 2020. The model allows participating hospices to provide services that are currently available under the Medicare hospice benefit, but cannot be separately billed under Medicare Parts A, B, and D, while enrollees are also pursuing curative treatments. CMS pays participants a fee ranging from $200 to $400 per patient, per month while they are delivering services under the model, including care coordination, case management, symptom management, and other support for beneficiaries and families. Following the conclusion of the program CMS will begin an evaluation phase expected to last two to three years. In addition to assessing the impact on costs, CMS is studying the impact of the model on patient satisfaction and the quality of care. Currently 96 hospices nationwide are participating. Though participants hospices reported that they were losing revenue via the program in the early phases, CMS theorizes that losses could be offset by increased utilization.